Michael Greenberg’s stunning collection entertainingly chronicles the hardships, delights, and moral dilemmas of being a writer and a New Yorker. To eke out a living, Greenberg doctors doomed movie scripts, peddles cosmetics on the street, and waits tables at a posh restaurant, all while raising his son on the Lower East Side. Along the way, he meets a host of fascinating city characters, including a Holocaust survivor, a repentant communist, and a man who becomes a woman. 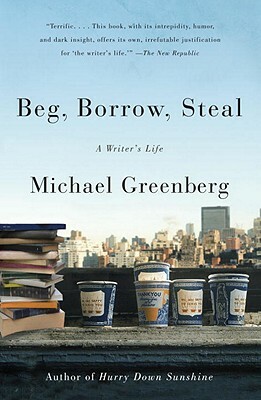 Hilarious and bittersweet, Greenberg's stories invite us into a world where the familial, the literary, the tragic, and the mundane not only speak to one another, but deeply enjoy the exchange. A native New Yorker, Michael Greenberg is the author of the memoir Hurry Down Sunshine, published in sixteen countries and chosen as one of the best books of 2008 by Time, the San Francisco Chronicle, Amazon.com, and Library Journal. He is a columnist for the Times Literary Supplement. His writing has appeared in such varied places as O, The Oprah Magazine and The New York Review of Books. He lives in New York.